Standby Generators - Collins Control & Electric, Inc. Standby generators provide backup power in case of emergency. Examples are homes, police stations, hospitals, server rooms, restaurants and hotels. Failures are common in areas with overhead power lines. 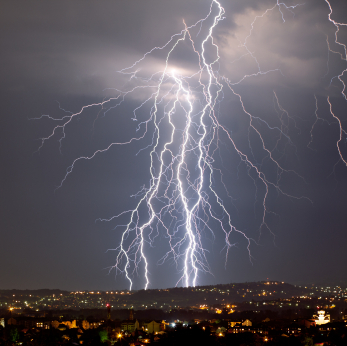 In the Larimer and Weld counties, summer storms with high winds are the primary cause of power failures. Winter snow and ice storms also lead to frequent power outages. 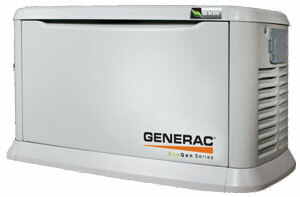 We sell, install and service Generac generators as a Generac Power Pro Elite Dealer. This means that we have extensive factory training and are a regional expert for warranty service. We help you choose the most effective solution for your situation and electric system. We have options for you from covering your entire home or business, or reducing the generator size by automatically prioritizing your electrical systems during the emergency. Our expert installation includes all the required permits, inspections, gas system upgrades and electric service modifications. This can save you worry and money and ensure that your generator will work in your application. Contact Us. We focus on permanently installed generators that operate on natural gas or propane. They range from 10KW to 150KW. Heating and cooling, water heaters, gas fireplace. When these systems continue to operate, you are preserving your valuable food, preventing your basement from flooding, or keeping the pipes from freezing, for example. Daily living tasks such as cooking become much easier through the emergency. Finally, comfort items such as television, internet may still be available during the power outage. Contact us now. Am I required to provide emergency services for others? Can I continue to serve customers’ essential needs? How do I ensure my employees and customers are safe and comfortable? What is the financial cost of each hour of downtime? What is the financial opportunity of remaining open? At Collins Control & Electric we can help you determine the most effective standby power solution. We are expert in specifying and installing the generator and our electricians can integrate it with your existing electrical system. A Generator is a also a great addition to your solar or wind energy system, especially when your home is off the grid. Wind and solar power are not always naturally available when you need them. For this reason, off-grid systems are often designed to store solar and wind energy in battery banks. Generators can be used to charge the batteries when solar or wind energy is not available, or to power larger systems or loads as necessary. In sunny Colorado, some of our customers have found that solar covers their need throughout the year, but January typically is when the generator shines. Generator use will naturally vary by year. We expertly design the perfect system for your off-grid application including the solar system, batteries and Eco Gen generator. We trade off the right mix of solar power, battery storage and generator to make the most efficient off-grid solution. Collins Control & Electric helps you provide your own electrical power when the grid is down, or when you want to live off the grid. Learn more about Power Assurance.